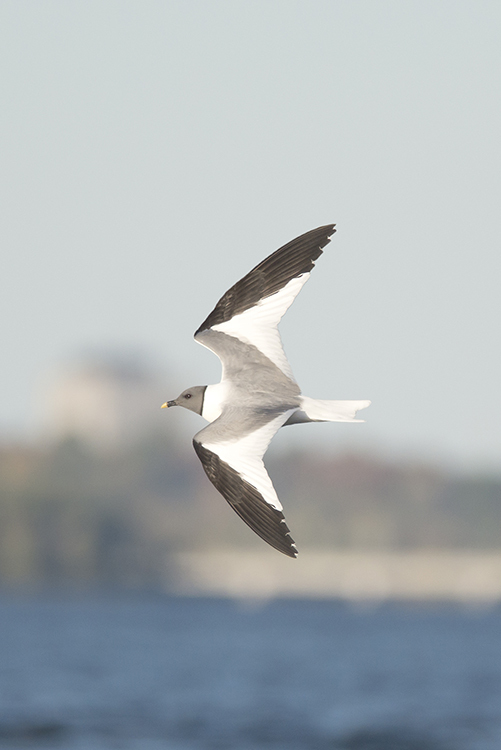 Tonight good friend and fellow photographer Bill (www.bilyreid.com) and I waded out into the Ottawa River, hoping to get a few good images of the Sabine’s Gull. 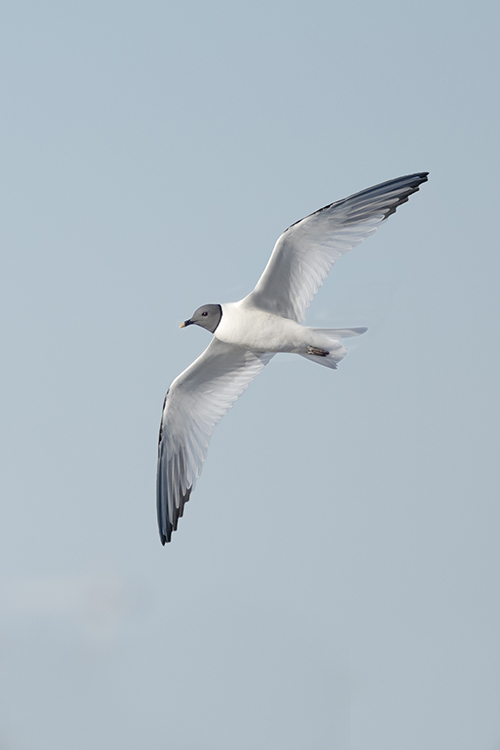 Bill had been getting some great photos of the Gull as it hunted for insects over the rapids. The Gull did not disappoint. At one time it was within 25 yards. Holding the camera steady, as the bird weaved back and forth amongst the waves, was tough and the autofocus on the camera had a tough time getting a lock on the gull. The autofocus would react to the waves and moving water, so unless the bird was close getting a focus lock was very tough. The ratio of images taken:sharp images was about 5 -1. This wasn’t the first Sabine’s I’d ever photographed but I did improve my previous Sabine Gull images.